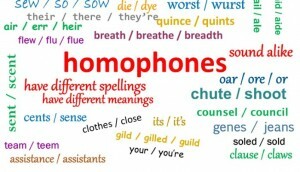 Here is the latest installment of Tuesday Tricksters, words (homophones) that sound alike (or nearly so), but mean something different and are spelled differently. Remember that spellcheck will not help you here; if you spell the word correctly, spellcheck won’t flag it. Make sure the jalousie is adjusted for the west sun. Sheila felt a strong pang of jealousy towards Amy. Frank found himself in a real jam at work. Karen, jam that stick into the gate to hold it shut. All my shoes are jammed into the closet! Sarah, do you want a peanut butter and jam sandwich? John was painting the door jamb white this morning. Did Ted buy his new jeans to wear to school? Our genes hold many secrets about our health and heritage. I need to wait a while for my ideas to jell. Be sure to boil the jam until it jells. Sharon found a new hair gel to try! I need to learn to steer and jibe a boat using just the sails. Your ideas jibe with mine. Jack was hurt when Ted made a gibe at him. Ted gibed at Jack’s reluctance to dive into the pool. The toughest words here are jell & gel, jibe & gibe, because they are often confused, and even the dictionaries sometimes allow one to be used for the other. If you’re not sure which one to use — if you EVER decide to use any one of the four — see if you can find a good synomym instead. Are any of the words new to you? Would you actually use jibe or gibe?